Batteries are everywhere, phones, computers, remote controls, cars, and portable speakers but 70 percent of the batteries sold in Australia are single-use and end up in landfill. In an effort to be more sustainable we often talk about recycling packaging and containers from consumable items but batteries are often overlooked. So how do we use batteries more responsibly? Investing in rechargeable batteries not only saves money longterm but more importantly the environment. Quality rechargeable batteries will last hundreds of charge and reduce dangerous landfill in the process. Single-use batteries should be recycled after use but even rechargeable units like those in phones and laptops stop working and need to be disposed of responsibly. 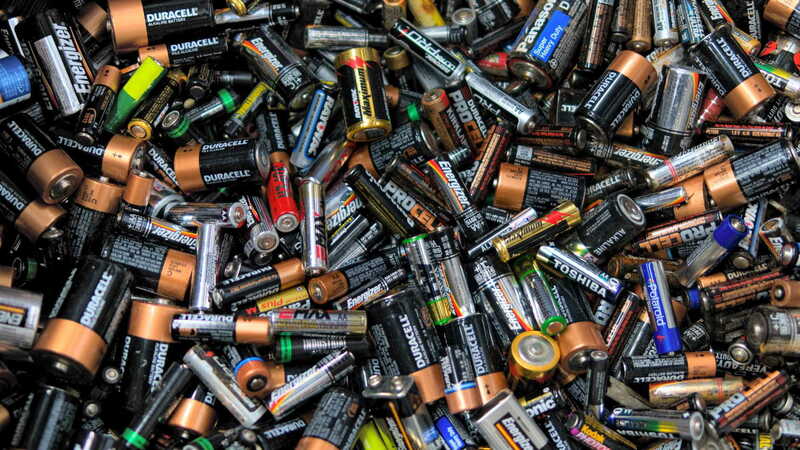 Depending on the technology, cadmium, lithium, nickel, silver oxide and zinc can be recovered from dead batteries and reused. To ensure these metals are recycled you can drop off batteries at participating Aldi, Officeworks and Batteryworld stores or via the Australian Battery Recycling Initiative. Learn more over at Planet Ark.